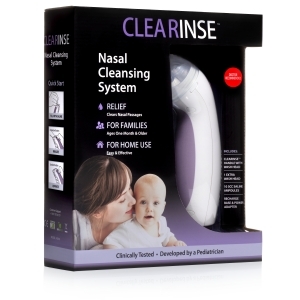 Clear your child’s stuffy nose with the CLEARinse Nasal Cleaning System Starter Kit. 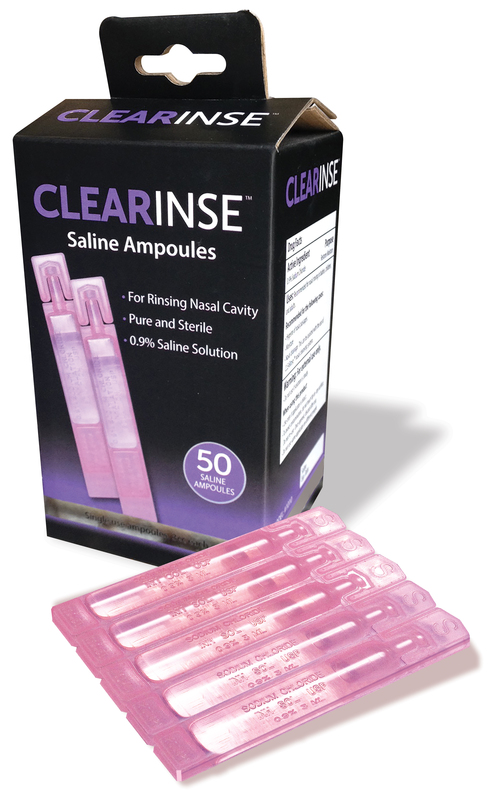 CLEARinse is the safe, natural, and most effective treatment for nasal congestion – a must have for you and your family. The American Academy of Pediatrics recommends salt water irrigation and aspiration as the most effective and safest way to relieve nasal congestion in infants and children. Plus, it works great for adults too! CLEARinse, a doctor-recommended, all-natural suction device that creates a similar flow and pressure settings used in doctors’ offices and hospitals to clear stuffy noses and sinuses.Unlike the Neti Pot or Nose Frida for babies, it uses pure saline and a gentile suction pump system to remove congestion. This nasal cleaning starter kit includes 1 CLEARinse handle, 2 wash heads, 1 power charger, and 10 3cc saline ampoules. It has been carefully developed by an ER pediatrician who wanted to help parents clear up blocked and stuffy noses of little children. 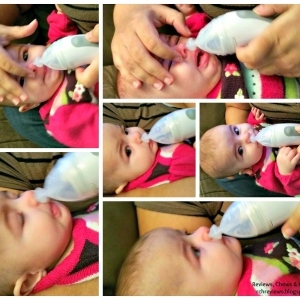 This baby nasal cleaning kit provides both the irrigation and aspiration to help remove hard blockages from the nose for easier breathing for the baby. 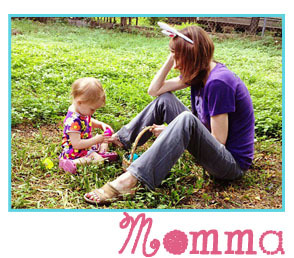 Giving parent’s peace of mind, this nasal cleaning kit is great when babies have the flu in the early years of life. Available at your local CVS!